A Celebration of Life for Jean Sippel Hanson, 85, of Aberdeen will be held at 11:00 a.m. on Saturday, September 8, at Paetznick-Garness Funeral Chapel, Groton. Pastor Brandon Dunham will officiate. Inurnment will follow in Union Cemetery, Groton. 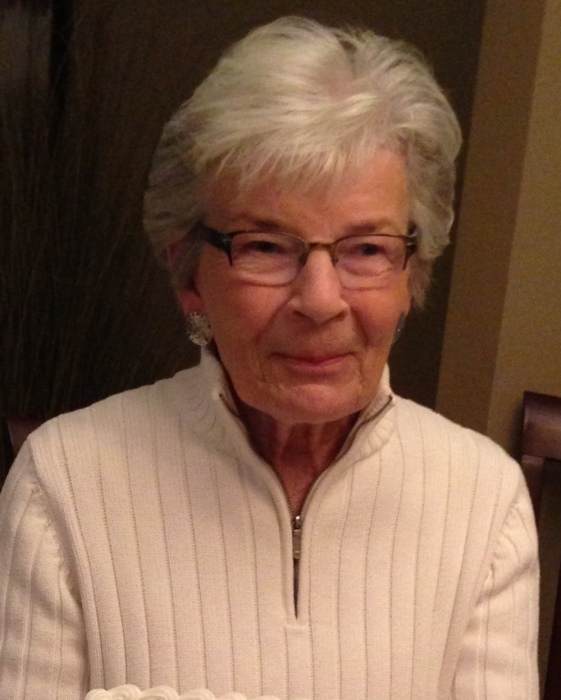 Jean passed away Sunday, August 5, 2018, at Sanford Medical Center in Fargo after injuries sustained in an automobile accident. Jean Koehler was born on December 21, 1932, in Brown County, SD, to William and Josephine (Donovan) Koehler. She attended and graduated from Groton High School. In 1950, she married Blaine Sippel who died in 1961. Together they were blessed with three daughters: Vickie, Sandy, and Pam. Jean worked as a bookkeeper for the Farmers Union in Pierpont and later in payroll administration in Phoenix, Arizona. In 1980, she married Royal "Sonny" Hanson, and they made their home in Phoenix, Arizona. Celebrating her life are her daughters, Vickie (Don) Gooding of Bismarck, North Dakota; Sandy (Tom) Deis of Bismarck, North Dakota; Pam (Jeff Penney) Sippel of Parker, Colorado, and her grandchildren: Stace Gooding, Teresa Wald, Jessica Gooding, Shannon Paulson, Jeremy Camire, Tyler Penney, and Kelly Penney. She is also survived by her brother, Don Koehler of Groton. Jean will be remembered for her giving nature through her volunteer work at Storybook Land and Meals on Wheels and for the life she dedicated to the well-being of her family. She had an open mind and a big heart for those in need whether they were family or friends or causes dear to her. What will be greatly missed is her keen sense of humor--there was never a conversation with Jean without smiles and laughter! Preceding her in death were her parents, her husbands Blaine and Sonny, her sister Darlene Nehls, and her brother Jerry Koehler. Memorial donations in memory of Jean can be made to the Salvation Army, 1003 6th Ave SW, Aberdeen, SD 57401.